Alphabetical has created a new identity for Giant Owl, a London-based independent production company. 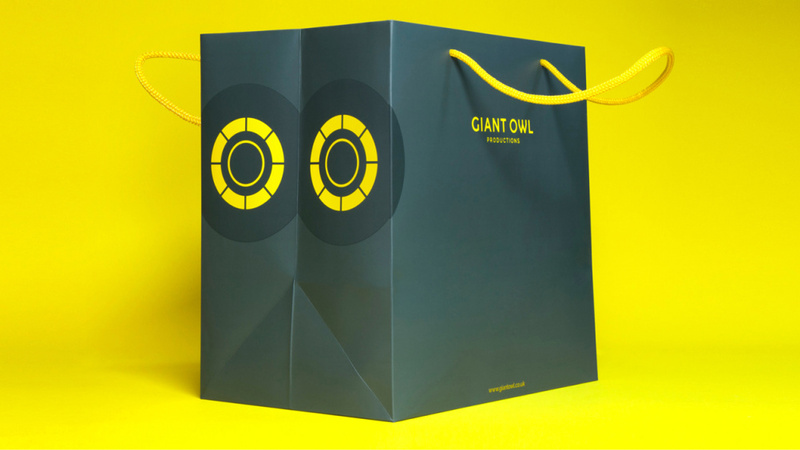 The consultancy was approached for the project about a year ago, and was brought in to create a new look to help Giant Owl ‘stand out in quite a saturated market’, says Tommy Taylor, Alphabetical creative partner. He adds, ‘They approached us to help them bring their brand to life and create an identity which is distinct, memorable and gives their brand the character to match their work. 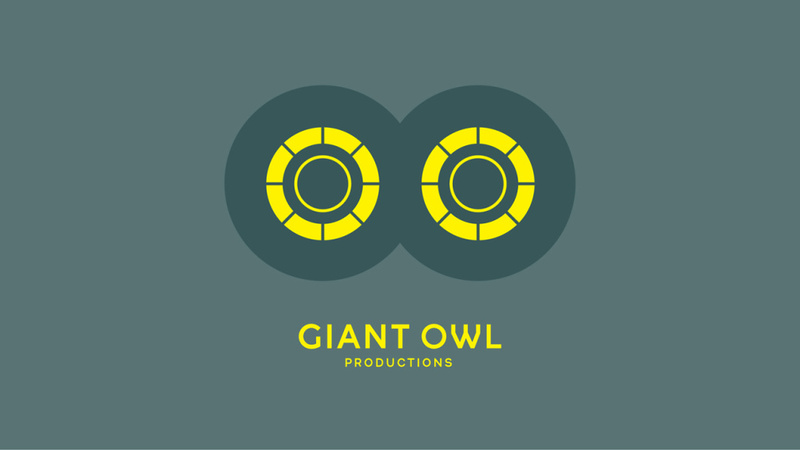 The consultancy created a logo formed from two circles to reference the owl of the company’s name, taking the eye element to underscore the visual nature of Giant Owl’ work. The device also suggests the digital tape spools used in the production house. Taylor says, ‘I think given the iconic name Giant Owl, the challenge we set ourselves was not to show an owl, so we approached the eyes as the main feature. Then they sent us over stacks of tapes and the idea popped up quite quickly’. 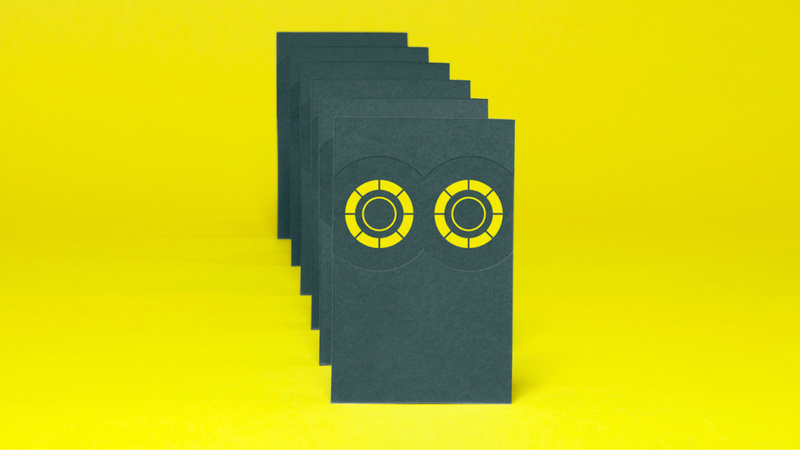 The yellow of the colour palette was chosen as a nod to the yellow of owl’s eyes, and is used alongside a ‘bluey-grey’ to ‘keep it quite simple’. 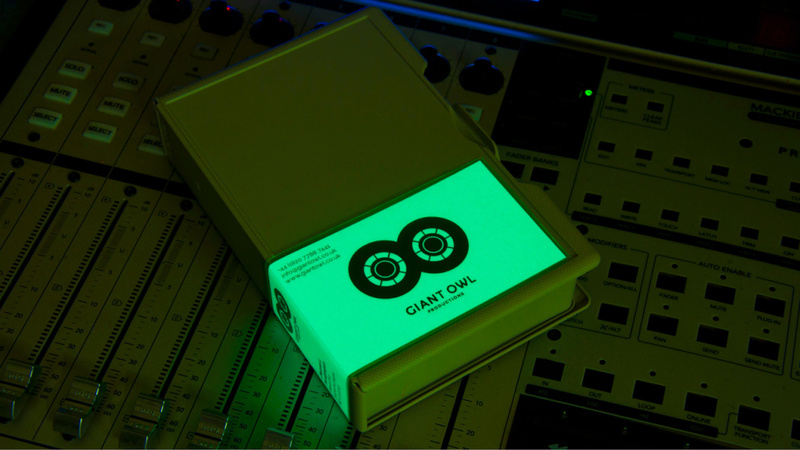 As well as being shown on printed materials, stationery and other collateral, including a digital tape label which glows in the dark, the identity is also used on all digital platforms, where a moving logo is shown. 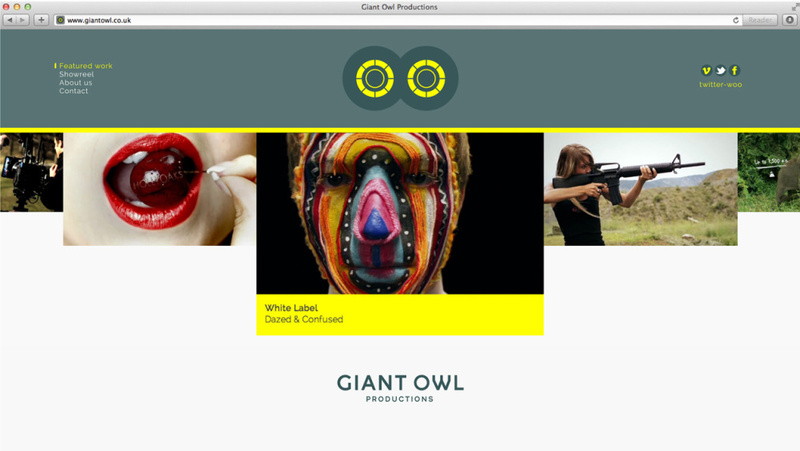 Giant Owl’s projects including making television programmes, commercials and short films for clients including Channel 4 and Rimmel London. 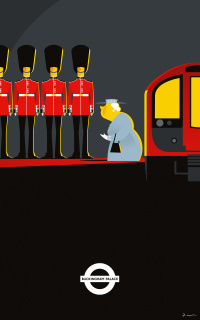 I love this – so simple and yet it stands out from most identity designs out there.